"Tania James is a warmhearted writer. 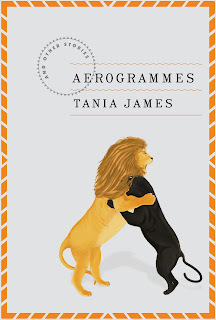 In “Aerogrammes,” her first story collection, she treats her eclectic band of characters — several children, a chimpanzee, an obsessive analyzer of handwriting, two Indian wrestlers in Edwardian London, a former grocer, an aging dance teacher, a widower, a writer and a ghost — gently, almost parentally, pitying them while recognizing the humor in their predicaments. James writes fluent, formal sentences, and her language is often artful," writes Emily Cooke in her New York Times Book Review of Aerogrammes. The full review can be found here. 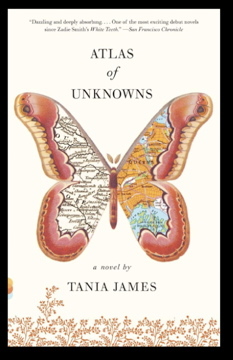 Tania James was born in Chicago and raised in Louisville Kentucky. She graduated from Harvard University with a degree in filmmaking and received an MFA from Columbia’s School of the Arts. Her debut novel Atlas of Unknowns was published by Knopf in 2009, and was a New York Times Editor’s Choice, an Indie Next Notable, a Barnes & Noble Discover Great New Writers selection, and a Best Book of 2009 for The San Francisco Chronicle and NPR. Atlas was also shortlisted for the DSC Prize for South Asian literature. Her short stories have appeared in a number of journals including Boston Review, Granta, Guernica, Kenyon Review, One Story, Orion, and A Public Space. 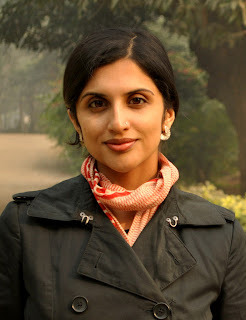 She has also written for The New York Times, The Courier Journal, and Elle India. She spoke to Suprose about her writing and being a writer. Read On. Why did you become a writer? What kind of a writer do you consider yourself to be? I wanted to write because I loved to read, and I loved the glow that certain books left me with, and I wanted to do to others what those beloved books had done to me. Even as a tiny person, I felt confident in my abilities as a writer. (Whether that confidence was deserved is another question entirely.) I was drawn to other art forms, like drawing and dance, but I felt unable to take the risks that writing allowed me to do. Risks like: writing a novella about a boys' prep school composed entirely of droids, only to find in the end that the protagonist is also a droid. The title was: 'Better Left Unanswered.' Talk about confidence. I don't mean to hedge but I don't know what kind of writer I am. Every adjective I come up with seems universal to most writers I know or have read about. I prefer to leave that interpretive task to other people; too much self-awareness can kill the mystery of what makes you tick, as a writer. What motivates you, what makes you want to keep writing? Other books. What usually gets me going is a striking voice (as in The True History of the Kelly Gang, which is what I'm currently reading) or a character that feels as real to me as anyone I've ever known. That is a difficult and inexplicable skill--to render someone so real they seem to be breathing right next to you--and it's something that I admire deeply. What are the tools you use to inspire yourself? As in writing exercises, music and such, especially when you hit writers blocks and such. I used to have a rainbow slinky that I liked to toss around while I thought things through, but lately the slinky has failed to get me out of a narrative quandary, so he's somewhere behind my desk now, all bent out of shape. To be honest, I don't suffer from writers block so much as writers disgust, a common syndrome that occurs when you look at your first draft and realize how terrible it is. The only tactic that has reliably worked for me is reading. Poetry can be startling and refreshing when I feel my sentences growing clunky and dull. Your first book was a novel, vs. the second, a collection of short stories. What challenges does a writer face writing a novel versus a short story? William Trevor said a short story is an 'explosion of truth.' I like that phrase very much. It can be a muted explosion but it's there nonetheless. I find it difficult to land a short story, to arrive at an ending that is just delicate enough but not so delicate that it feels like the story has gone nowhere. I dislike a vague, gauzy ending. When I write a story, I can sort of see the whole at some point in the writing process. I can begin to see the horizon of the ending, or an ending, if the story decides to diverge from it. When I was writing my novel, it was hard to see the whole, impossible really, because I wanted the structure to be complex and interwoven with several perspectives and time periods. I would call that a pleasurable challenge. Do you prefer/enjoy any one over the other? I love reading both. As for writing them, I usually prefer the one I'm not working on. Do you believe creativity is stifled when prose is categorized and clubbed into genres? It seems to me that creativity is in the writer's court and doesn't, or at least shouldn't, be affected by discussions of genre and literary categorization. I can see how a writer might be uneasy or puzzled by the way his book has been shelved in a library or a bookstore or in a book review, but to carry that uneasiness back to his writing desk seems a dangerous thing. I feel that I have to sort of disappear inside the world I'm writing about, and I can't do that if I'm thinking about how the story is going to be categorized. Many writers tend to be solitary animals, not savvy sales or marketing folks. For them, the toughest part is the sell. How do you navigate through this? I've listened to advice. I've hitched my wagon to people I can trust (my agent, especially, but also my editor, my publicist). I've joined the Twitter migration, albeit belatedly, and I've found I like the conversations that go on there. I might be the wrong person to ask about sales savviness, but I've learned to focus on the readers who might actually buy or read my book, and directing my energies at them, rather than casting too wide a net and getting depressed when the Bamboo Appreciation Society doesn't respond to my emails. What do you read – for pleasure and then for motivation? That's often the same category for me. No matter the form or genre or author, whether YA or adult, I always feel I have something to learn from a book I really love. If I were to look through your bedside reading pile what would I find? Peace, by Richard Bausch. I Am An Executioner: Love Stories, by Rajesh Parameswaran. A few issues of One Story magazine. What is your next project? What are you working on? A novel that involves some wily elephants.